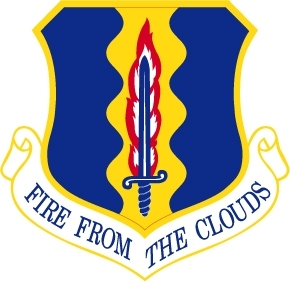 The Desert Air Force first formally came into existence in late 1941 as the Western Desert Air Force (WDAF), although it had been previously used to describe the Allied Air Forces in the Middle East. This page covers some of the many Units present in 1942 and 1943. The RFC, which gave birth to the RAF, was formed in 1912. It comprised a Military Wing, a Naval Wing, The Royal Aircraft Factory and the Central Flying School. Eighteen months after its formation, the Naval Wing of the RFC was reformed into the Royal Naval Air Service. In 1941, Air Vice-Marshal Sir Arthur Coningham took over command of RAF No.202 Group and began the first steps to the creation of the DAF proper. 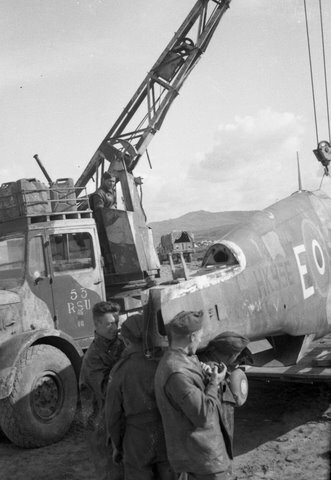 During July 1941, No.253 wing was formed for experiments in close support over the front lines and included two squadrons of Hurricanes and one of Blenheims. Shortly after this, Nos. 258 and 269 wings were formed for operations over the front line and No.262 wing was formed for the defence of the Nile Delta Zone. 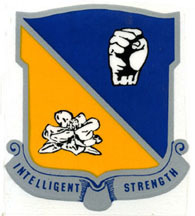 No.258 and 269 Wings formed the nucleus of the Western Desert Air Force when it formed in October 1941. In November 1941, the Allied forces carried out Operation Crusader, which was launched on 18 November 1941. 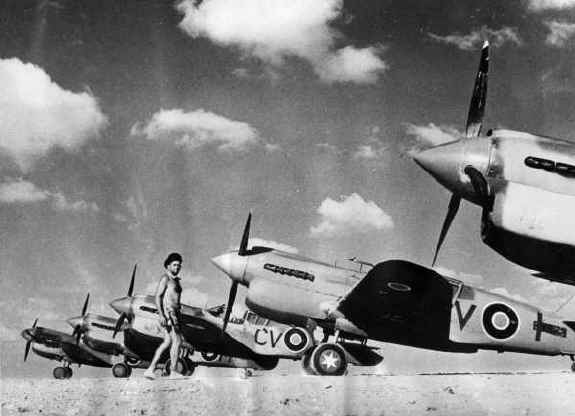 In support of the offensive were No 28 RAF squadron, 258 wing of four Hurricane and two Tomahawk squadrons, 262 wing of three Tomahawk and two hurricane Squadrons and 80 squadron which was equipped with the first hurri-bombers. 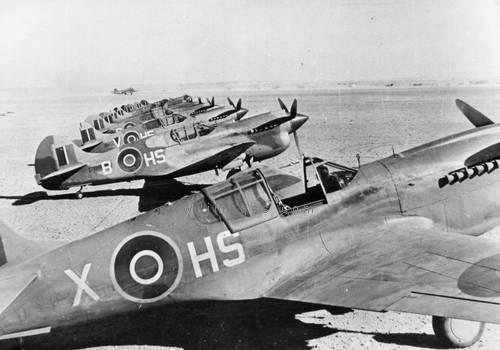 269 Wing defended the rear areas with two RAF Hurricane Squadrons and a composite unit of Fleet Air Arm and RAF Hurricane and Grumman Martlet aircraft. On 18 February 1943, the north-West African Allied Air Force was formed by the reorganization of all Allied air forces in the Mediterranean area including the WDAF, RAF Middle East,, Malta, Tunisia and Algeria. 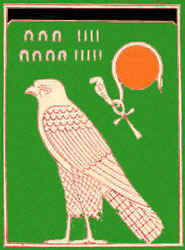 Beneath its banner was the North West African Allied Tactical Air Force, commanded by the WDAFs Air Marshal Coningham. 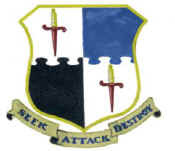 Contained within this were four subordinate formation, one of which was the Desert Air Force as the WDAF had been retitled, under the command of Vice-Marshal Harry Broadhurst. 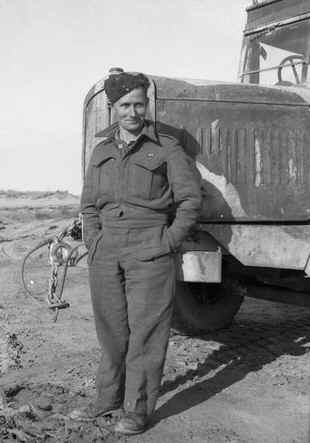 The War in Africa ended on 13th May 1943, and flying from Malta, the DAF subsequently supported the Allied landings on Sicily. 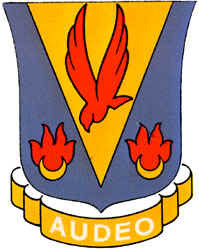 The Italian winter of 1943/1944 saw the Eighth Army cross the Trigno and Sangro rivers, the DAF introducing a new form of close support, the Rover David and Cab Rank systems, where formations of patrolling fighter-bombers were maintained over the front lines to be called down upon targets by RAF liaison officer with the forward elements of the Army. In April 1945, the Allied offensive covered by massive air support launched itself northwards. An armistice was signed in Italy on 24th April and all fighting in Italy ended on 2nd May. very short career within the unit, because it is destroyed by August 24, 1943 by Sergeant PL White, he is seriously injured in the accident. 42-84107 HK947/A, to excess inventory list Jul 8, 1944, August 17, 1943, Flying Officer J.L. Griffith and W.H. Gilliland on a recognisance mission are surprised by the attack of... RAF 43 Squadron, Spitfires which confused them for Me 109. In the fray, the two pilots of N° 1437 Flight do not recognize their attackers immediately and start the combat. Griffith takes on the top Spitfire causing the Pilot to ditch. Our two pilots continue their mission, but Griffith must evacuate its HK947/A, after being hit by the flak by flying over an enemy armoured column. He bails out above water and will be helped one hour later by Walrus X9506 of N° 284 Squadron. of the 4th July 1943 and 3 in the afternoon while unit is temporarily at Matariya (Egypt). and 16 fighters; another 35 Ju 52/3m's crash along the coast. Transferred to Port Tewfik, Gulf of Suez, June 1942 as part of Desert Air Force. No aircraft until September when they got Hurricane IICs then Spit VBs and Spit VCs in October. Transfered to Triploi Libya, in February 1943 with 244 Wing. Transfered to Ben Gardane, Tunisia, in March, 1943. Then to Mellaha and Goulvine. Transferred to Malta for Operation Husky, the invasion of Sicily, in mid 1943. No. 274 Sqdn Hurricanes circa January 1941. Seven of the RAF Kittyhawks Mk. 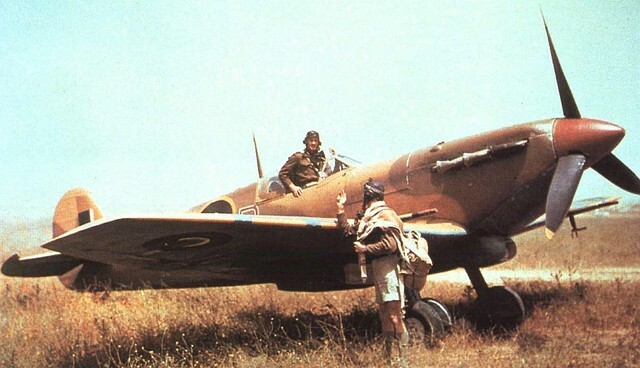 II were handed over to the Free French Air Force in Africa. Almost all of these aircraft can be seen on the above photo. The aircraft are representative of the late P-40F production with lengthened fuselage. FL263,13839 to RAF as Kittyhawk IIA FL263 Jul 1942. Diverted to French ADO Apr 17, 1945, struck off RAF rolls Mar 31, 1945., 270, 13852 to RAF as Kittyhawk IIA FL270. Tranferred to French AF Mar 31, 1945., 276, 13864 to RAF as Kittyhawk IIA FL276 Jul 1942. 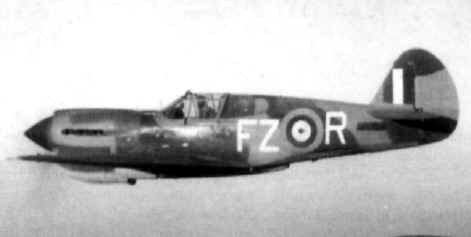 Transferred to French AF Mar 30, 1945, 280, 13872 to RAF as Kittyhawk IIA FL280. 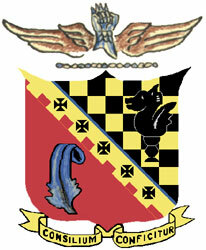 Transferred to French AF Mar 30, 1945., 383, 305, To Armee de 1'Air (Free French) 31 Mar 1945 and 307, To Armee de 1'Air (Free French) 31 Mar 1945, were handed over to the Free French, who operated them in North Africa. Is this a picture of the 94th with RAF markings? The 94th had lost the use of its "Hat-in-the-Ring" emblem shortly after World War I.
so, it adopted an Indian chief in profile--hence the name of the squadron's athletic teams, the Indians"
Your caption for http://www.mts.net/~royb/images/p-40_indianwarbonnet.jpg asks whether the picture shows the 94th FS with RAF markings. Unfortunately it doesn’t, its just another angle on the two pictures above it – note the Indian war bonnets on the French aircraft, the French style tail markings covering the full height of the rudder, and the large hangar in the background. 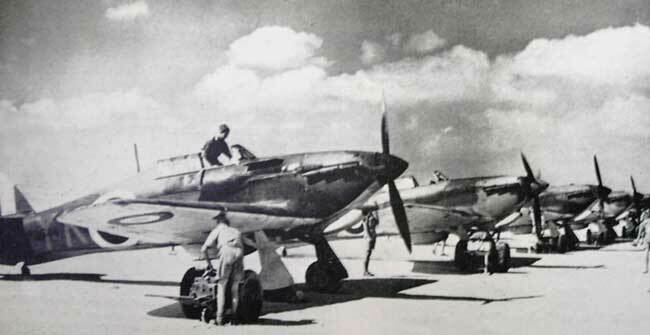 Update: Line-up of 13 P-40 United States Warhawks which Americans recently presented to the Fighting French air forces at an airport somewhere in North Africa on behalf of the people of the United States. That 'somewhere in North Africa' was Casablanca and the date was January 9th, 1943. Despite the caption describing thirteen P-40s, there are only twelve Hawks in the photo. All were formerly with the USAAF 33rd FG and were officially handed over to the French GC II/5 'Groupe Lafayette' or 'Lafayette Escadrille' during this presentation ceremony. Northwest African Strategic Air Forces, flying from Tunisian bases, under Doolittle's command. The NASAF comprised four groups of B-17 bombers (2nd Bomb Group, 97th BG, 99th BG, and 301st BG); two groups of B-25 bombers (310th BG and 321st BG); three groups of B-26 bombers (17th BG, 319th BG, and 320th BG); three groups of P-38 fighters (1st Fighter Group, 14th FG, and 82nd FG); one group of P-40 fighters (325th FG); and several wings of Wellingtons from the RAF Middle East Command. 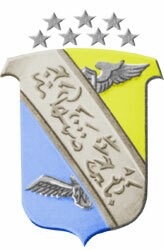 MEDITERRANEAN THEATER OF OPERATIONS WESTERN MEDITERRANEAN (North African Air Force) HQ North African Air Force (NAAF) is set up under General Carl Spaatz, USAAF, and the Twelfth Air Force becomes a paper outfit. 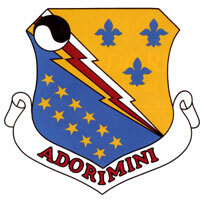 NATC: 15th Bombardment Squadron (Light) In Algeria, weather cancels heavy and medium bomber operations. In Tunisia, fighters provide direct support for the British First Army in the Sbeitla-Kasserine-Feriana areas. HQ 1st Fighter Group and it's 27th Fighter Squadron P-38s transfers from Biskra, Algeria to Chateaudun-du-Rhumel, Algeria. The 342d Bombardment Squadron (Heavy), 97th Bombardment Group (Heavy) with B-17s transfers from Biskra, Algeria to Chateaudun-du-Rhumel, Algeria.